Well Easter is officially a few days away, so this week the kids and I started our festivities. We had a blast dying eggs! 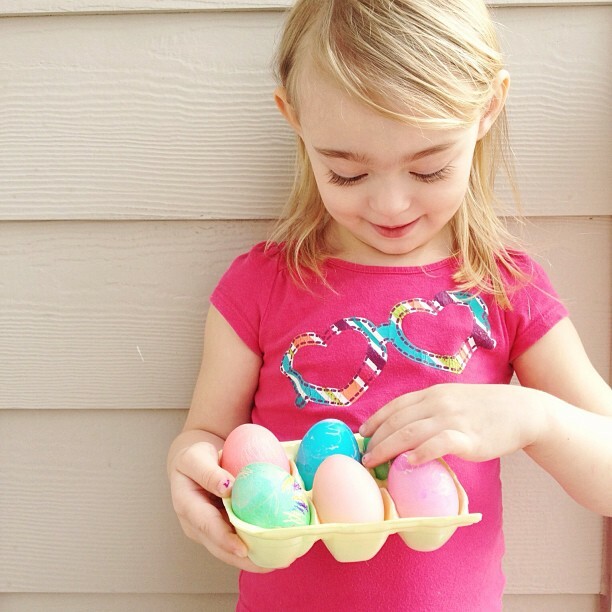 Marli colored each of her eggs with white crayons and then dipped them as she pleased. 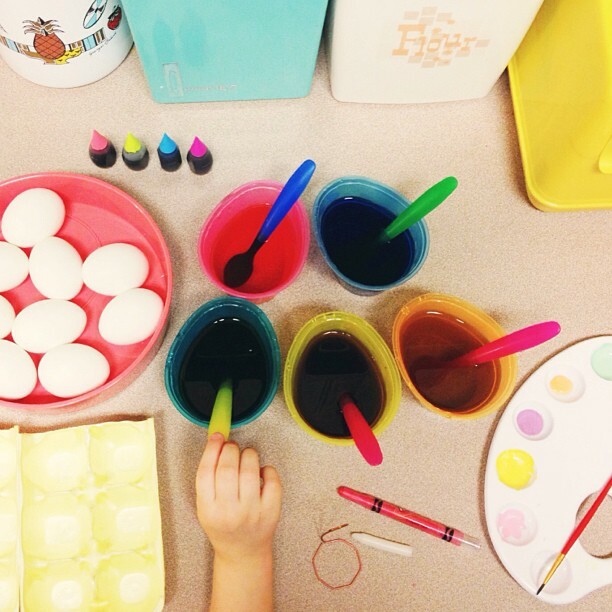 She loved picking out the colors that each egg would be and decided on a story for each design, such a creative little stinker. I also took a whack at egg decorating and I love the way that they turned out! I still have a lot to do before Sunday, hopefully I can get it all accomplished in time. I haven't started their Easter baskets, shame on me! I just hate going into Target around holidays, the people are mad. Hopefully all the stores won't be completely cleared out of candy and goodies, I really need some Robin's Eggs and Peeps! There will be more Easter cheer posted on Sunday, until then enjoy a few snapshots from our week! 1.// Getting out mess making supplies in order. 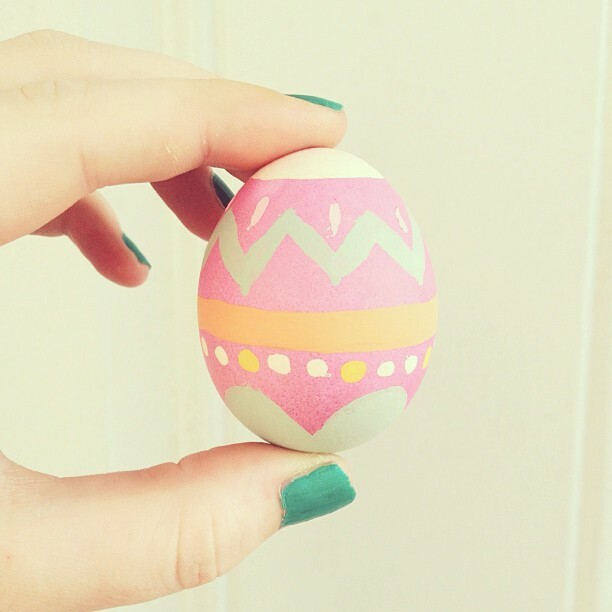 2.// My favorite egg this year, it turned out really cute. 3.// Marli excitedly telling me all about her eggs and how she can't wait for Easter. 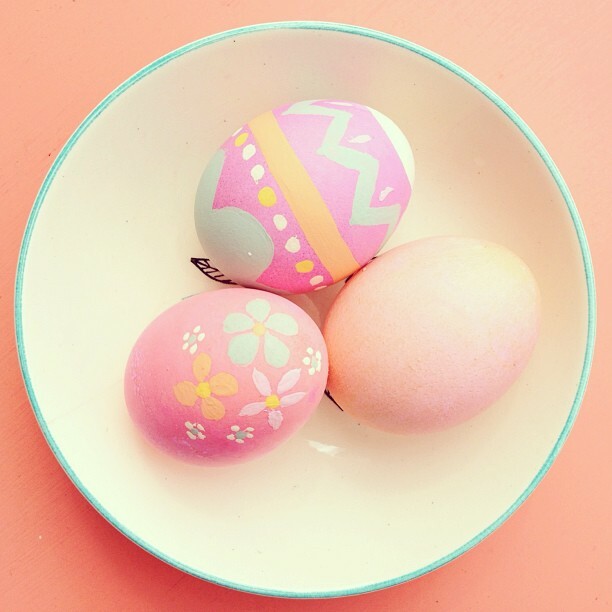 4.// All of my eggs, so pastel and fun! 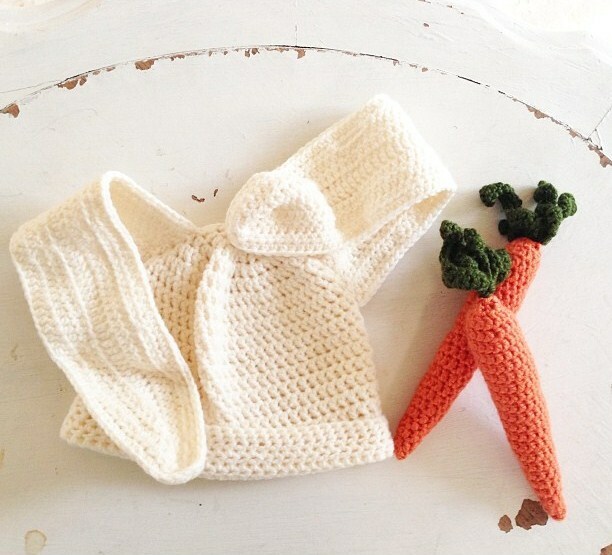 5.// I stole this photo from Sandra at Anchors and Honey because she always does an amazing job of capturing my work.. She ordered two carrots for an Easter themed photo shoot and they turned out really great. I threw in the hat for good measure. 6.// Hunter being naughty. 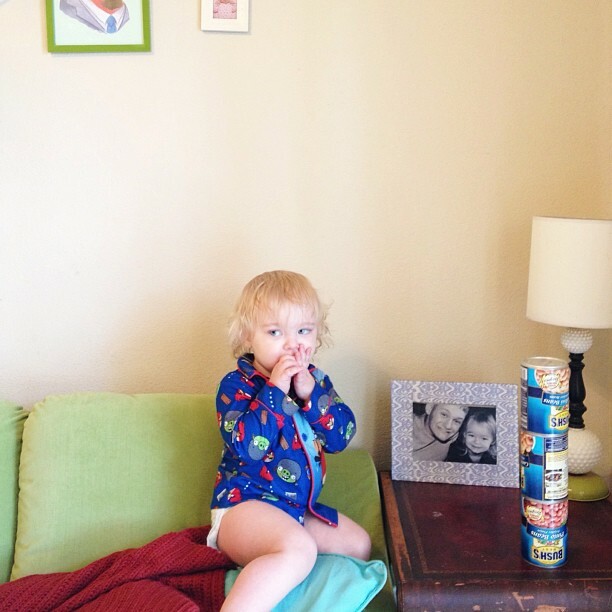 He steals all of our canned goods and then builds towers with them when he thinks no one is watching. 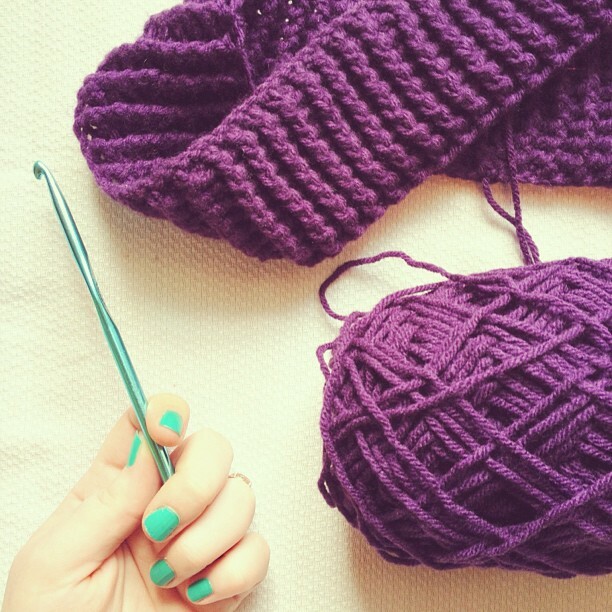 7.// I started on a few new listings for the handmade shop, I know it's going to be warm soon but you can never have too many scarves right? 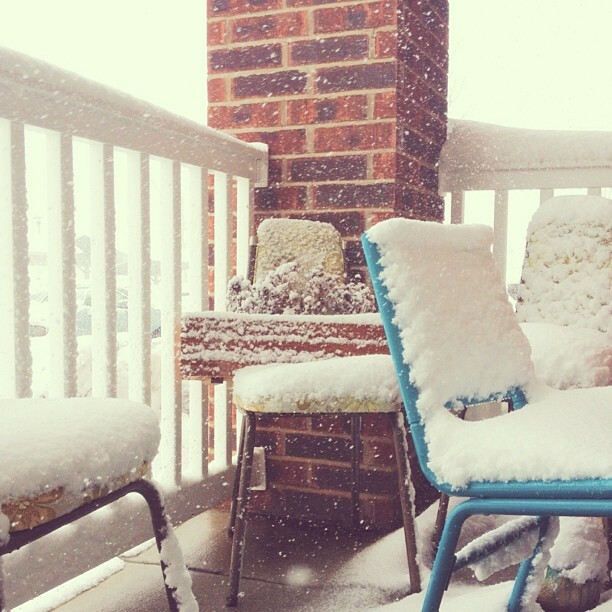 8.// This is what the end of March in Missouri looks like in case you were wondering. We ended up with almost two feet of snow in a single day. Happy Spring! 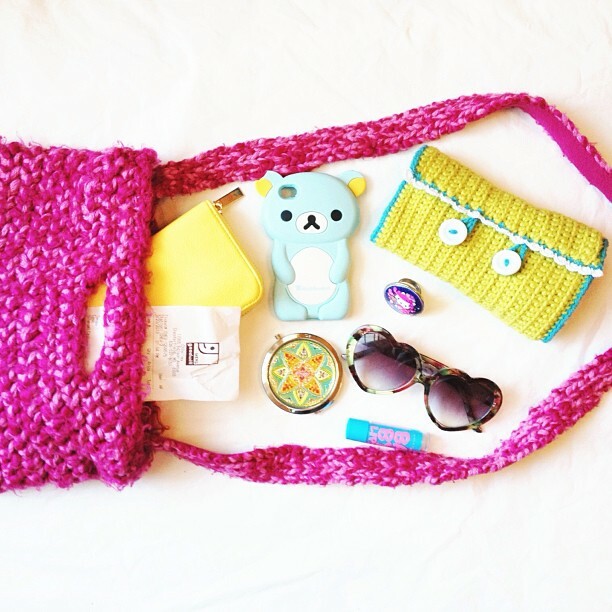 9.// I showed off what is in my bag this week. 10.// Afternoon lamb cuddles. 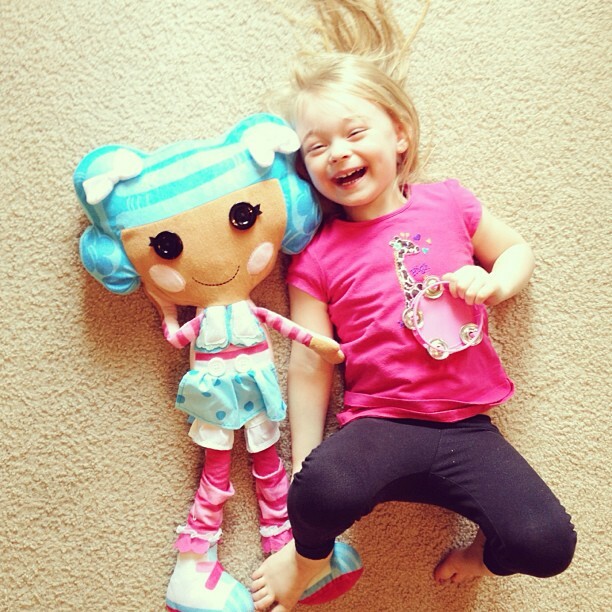 11.// Making sweet music with her Lalaloopsy. 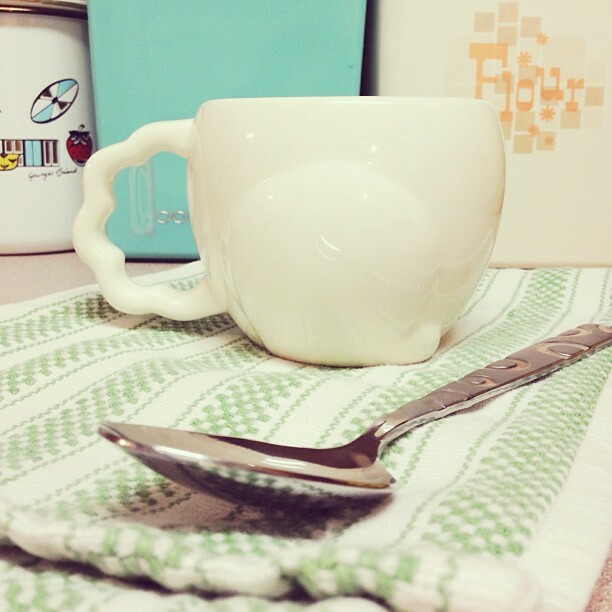 12.// I finally broke in my bunny mug, perfect for this week! 13.// I finished an anniversary order for two love birds and they turned out adorable. 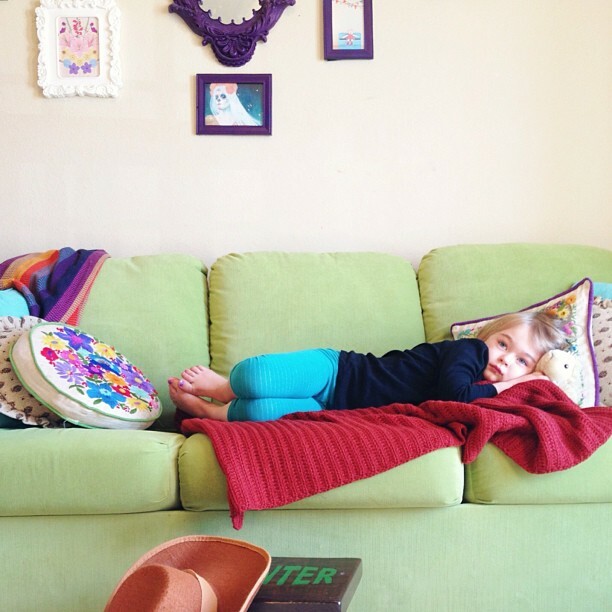 14.// A huge congrats to EmmaDeer for winning Arrow in the Eye's blogaversary giveaway. 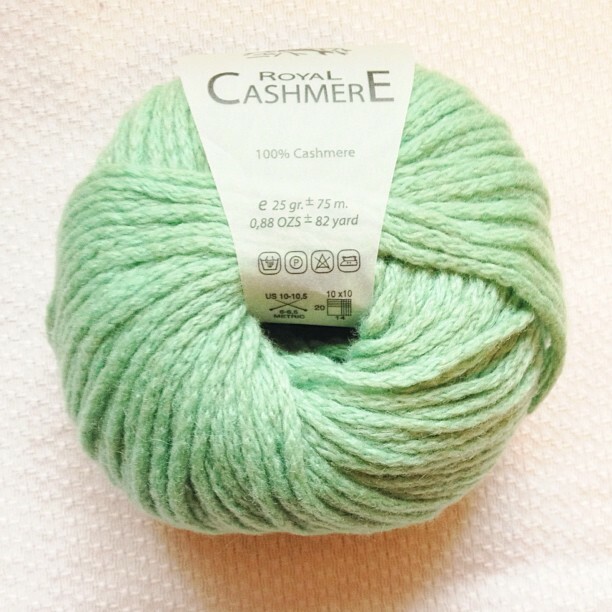 I started on her scarf using this beautifull mint cashmere, how will I ever part with it? Make sure you enter my sponsor giveaway before it ends and remember that sponsorship spots are now available for April! Have a great Holiday weekend dolls! In love with how you designed your eggs! They came out gorgeous! 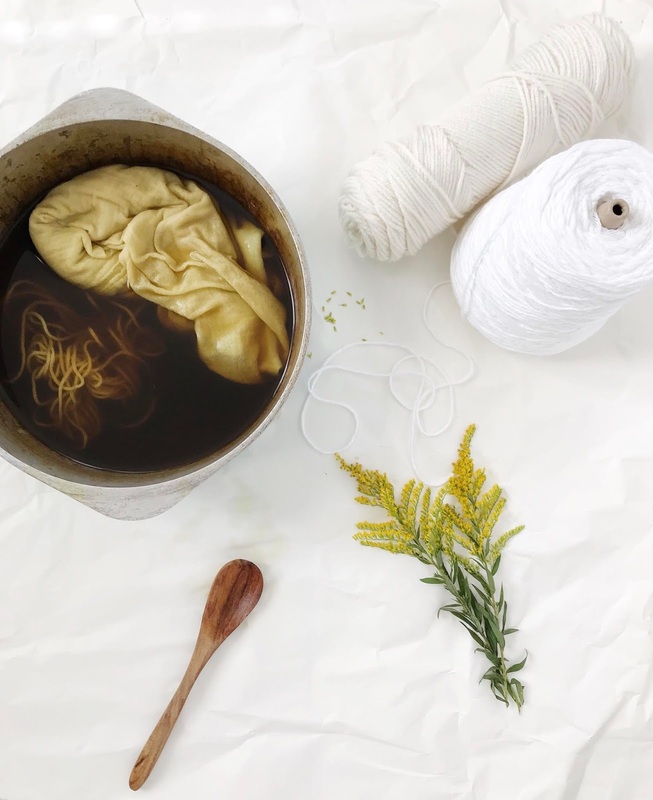 Did you make your own bag? I love how it looks! Thank you lady! I didn't make my bag, i got it at gap in like 2000! love how your Easter eggs turn out! great pictures! That bunny hat is too cute!! I love those little birds. That bunny hat is too cute! I love the little birdies. Those eggs are just gorgeous! 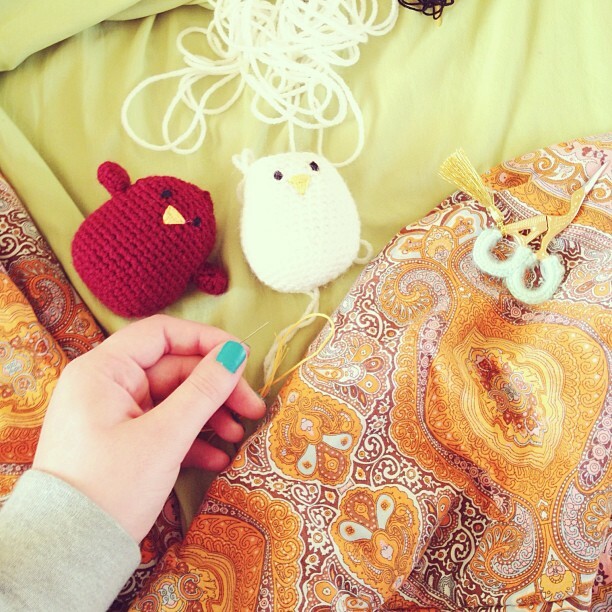 I love all the crochet goodies too. They are all so beautiful. We were going to dye Easter eggs today, and didn't get around to it. Looks like it will happen tomorrow, and I'm glad because Your pretty egg has inspired me! ah, dying easter eggs! how cute! i adore you little girl, she is so darling! Beautiful photos. The eggs look so pretty!